I'm super happy with the turn out of this creation. It is the first time I've actually made something successful from Pinterest. It took me a while to introduce succulents into my wannabe-chic bedroom, but I now found an excuse. 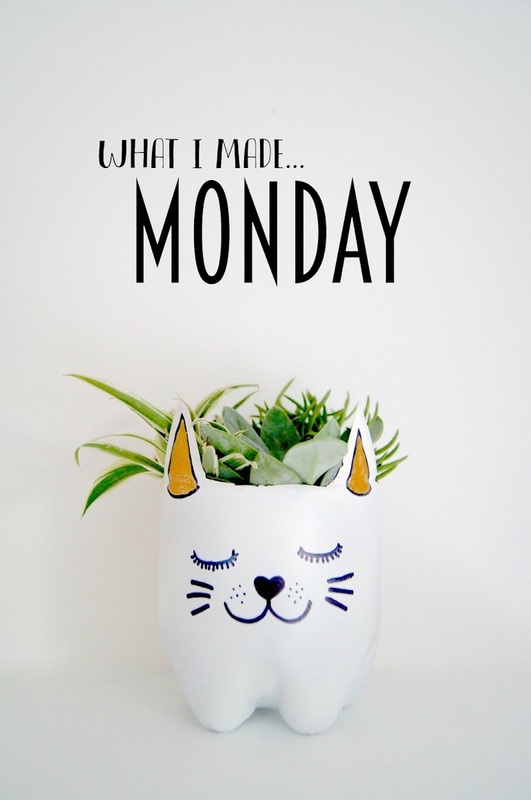 This super cute, easy DIY pot really reflects happiness and positivity because of the smiling cat. It's made from a used and washed lemonade bottle. I cut out my shape using a Stanley Knife (not the safest things, I know) along the marked lines. Cutting it was probably the hardest part but I didn't particularly focus on it being perfect because I knew a lot of the edges would be covered. I then went into the garden and spray painted it matt white. I seriously enjoyed using the spray paint - it was such fun! I applied one coat in the morning and another in the afternoon for maximum opacity. The succulents are from B&Q and they came in a big glass bowl, meaning they were pretty pricey at £10. However, I think I will eventually find a different use for the bowl. The plants got de-potted and placed into Cactus Compost. If you're replanting cacti or succulents, it is important to use the correct compost because they use a lot of nutrients from the soil around them. Finally, I drew on the face and painted the ears. I'm so please with how it turned out and I can't wait to watch my plants settle into their new home. What DIY have you been doing lately? Aww this is so cute and very Pinterest like! I love reading posts like these. 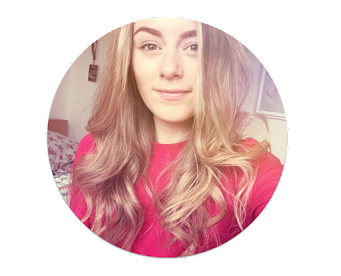 So glad I came across your blog! Thanks for sending me your link lovely. This so cute! And thanks for letting me know where I can buy succulents from I've been looking for ages! This is such a creative idea, I showed my mum and she had no idea it was a lemonade bottle! 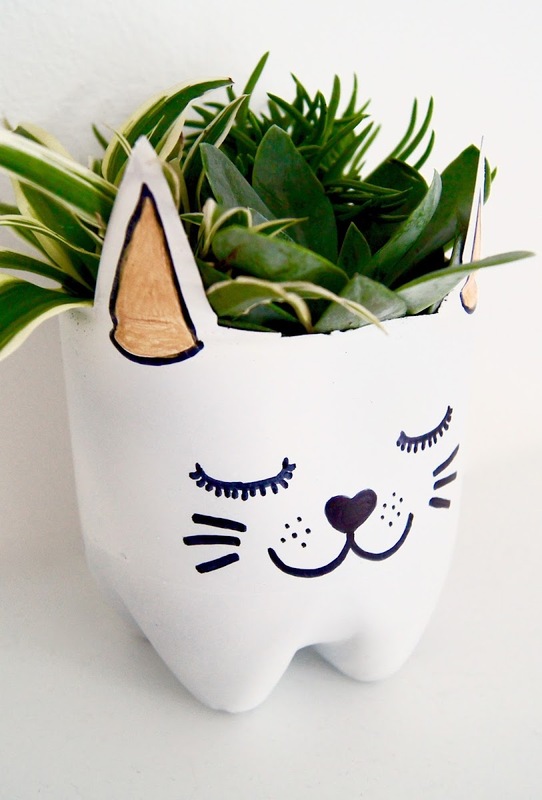 I'll definitely be trying this once I buy some spray paint, the cat face is such a cute feature too! This is such an amazing idea, it would be great for keeping bits and bobs in. I'm thinking about making pig ones. Awh gosh that's too cute - I love the minimalism! I've seen this project on Pinterest multiple times, but have never actually attempted anything from that website. They all seem too good/easy to be true! Glad yours worked out so well though.